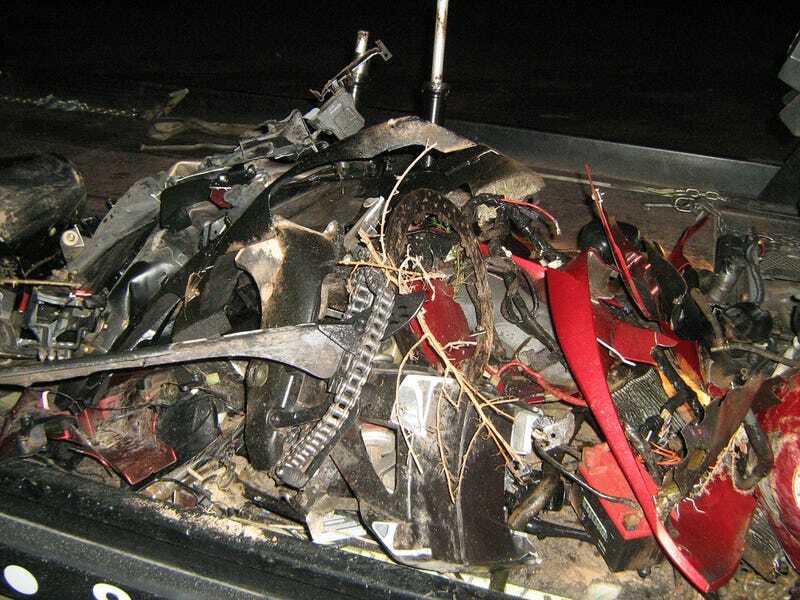 Fleeing from police at 157 MPH, a 19-year-old Yamaha R1 rider lost control in a gradual curve. The bike's dead. The rider? Amazingly, he survived... to face Aggravated DUI, Reckless Driving and Criminal Speed charges when he's released from hospital.